Incredible growth: from 136,670 acres to over 500,000 in just over a decade. Photo © Pepe Franco. Next Thursday, and subsequently every second Thursday in November, is International Tempranillo Day. Curiously enough, this celebration originated in the US but we thought it was a great opportunity to recall Tempranillo’s origins, characteristics and styles of wines. Tempranillo Day was launched by Tapas (Tempranillo Advocates, Producers and Amigos Society) in response to the growing popularity of this grape in various American wine growing regions. Now in its fourth edition, there are many events scheduled to take place in the US. A nonprofit trade association of over one hundred wineries, growers and “amigos”, Tapas’ mission is to promote Tempranillo and other varietal wine grapes native to the Iberian Peninsula. If you have ever tasted a Spanish red wine, chances are that Tempranillo was in your glass. It is the most widely grown red grape in Spain, ranks 4th in the world and accounts for roughly 215,000 hectares (over 531,000 acres) of vines spread throughout most of the country, although it particularly thrives in regions such as Rioja and Ribera del Duero. Most of the highest rated Spanish red wines are indeed made from Tempranillo. However, the humble, inexpensive red table wine that you grabbed at your local store (yes, the one with the most attractive discount) may also have been a Tempranillo. Castilla-La Mancha, the vast elevated plateau in central Spain, south of Madrid, accounts for as much as 77,000 hectares (over 190,000 acres) of Cencibel, as Tempranillo is called in this part of the country. Wines in this area can range from bulk to outstanding aged reds made from carefully selected terroirs and not necessarily within the borders of an appellation. Powerful Toro reds are made from Tinta de Toro, a Tempranillo clone adapted this area in northwestern Spain and is thus traditionally considered a variety in its own right. In Ribera del Duero, Tempranillo is called Tinto Fino or Tinto del País and Ull de Llebre (hare’s eye) in Cataluña. The grape is also of particular importance in Extremadura and Navarra, and can also be found in Valencia, Aragón, Murcia and Madrid. Back to wine, I can’t find a better way to explain Tempranillo’s nature than to remark on its ability to express itself in so many ways. In contrast with strong personality grapes such as Cabernet Sauvignon or Merlot, this Spanish beauty seems to fit in many environments and fulfill a wide range of winemakers’ requirements. The list includes carbonic maceration reds from Rioja Alavesa; easy-to-drink uncomplicated young reds from La Mancha; still undiscovered rosés, mainly form Rioja; good value reds from Castilla y León coming from vineyards outside Ribera del Duero and Toro and usually sold as “vinos de la tierra”; and, of course the wide range of reds made in Rioja and Ribera del Duero, namely those aged in barrels and capable of developing beautifully in your cellar. Tempranillo is usually unblended in most wine from Toro, Cigales, Ribera del Duero (although the latter may include small percentages of Cabernet and Merlot), increasingly in modern Riojas, and can of course be found as a single varietal in other Spanish regions. The vast majority of Riojas are still Tempranillo-based and topped with varying percentages of Graciano, Garnacha and/or Mazuelo. Blends are also very common in Navarra, but Cabernet, Merlot and lately Syrah are the usual partners here. Acidity is not its strong point, but Tempranillo can still achieve remarkable balance if grown in suitable terroirs. Fruit aromas range from strawberries and cherries in Rioja to dark plums in Ribera, as well as spice notes, occasionally minty nuances, and leather and tobacco notes in aged wines. While Tempranillo (or Tinto Fino as it’s called in the area) from Ribera is usually more concentrated and full-bodied, you should expect higher acidity and a touch of refinement in Rioja, although boundaries are getting blurred nowadays. Whereas many “Riojans” have embraced the powerful style pioneered by Ribera, some of their counterparts from the banks of the river Douro are rather obsessed at the moment with gaining more finesse for their wines. From barely 46,000 hectares (136,670 acres) grown in 1990, Tempranillo has become a sudden star whose name stands proudly on bottle labels. Its major expansion took place in the 1980s and 1990s, when Ribera del Duero was booming. But such success also involves a large amount of young vines, not always planted in the most suitable areas or even regions (Tempranillo in Aragón or Murcia; and more worryingly, a massive use of clonal material which implies a loss of ancient bio-types). Many concerned winemakers, however, are working hard to preserve the genetic complexity of their oldest vineyards. The work undertaken by Bodegas Roda in Rioja is worth noting, as it has been able to select 550 different bio-types of Tempranillo in its natural habitat. 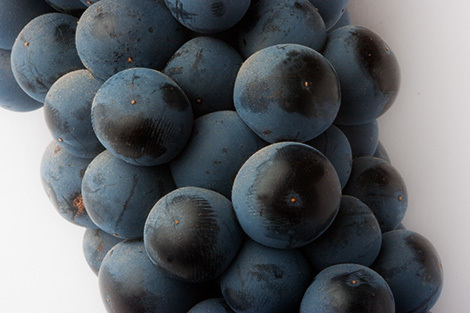 Similarly many winemakers in Ribera del Duero do likewise with their Tinto Fino, which can be easily recognized by the smaller size of its berries. Far from becoming a victim of its own success, new plantings of Spanish Tempranillo can be found nowadays in the United States and Australia. It has been grown for much longer in Argentina and especially in Portugal, where it can be found in the Douro (Tinta Roriz) and Dao, as well as Alentejo (Aragonez) in the south. I remember that on my first visits to Vega Sicilia, when Mariano García was its winemaker, he used to talk about Aragonés instead of Tempranillo.